“I want to create a sense of community.” That’s me, sharing one of my valued goals with my colleagues and partner. Like many folks who lean to over-controlled temperament, I’m a great planner and find achieving goals rewarding, so I had already identified how to achieve my goal: by sharing food. I visualized a diverse group of friends sharing home-cooked meals with lots of juicy flavor. In my vision friends would talk and snack and laugh in my kitchen on a regular basis. What fun! I got started right away. To me, sharing food meant learning to cook. That meant no take out or mixes or pot lucks. The food must be homemade and good! I watched the food channel, took cooking classes, read recipe blogs and gathered new recipes. Watching cooking shows featuring well-known chefs such as Jamie Oliver, Ina Gardner, and the Pioneer Woman I learned how to braise and sear. From watching Top Chef, I learned how ingredients could be combined in different ways. I learned chopping techniques, how to fold in delicate ingredients, and the benefits of high and low heat. In cooking classes at a local kitchen utensils store I learned a few everyday Chinese dishes, holiday meals, homemade pasta, and lots of fish dishes. I collected the tools that I “needed” to make all these dishes too. There are so many wonderful cooking tools. Apple peelers and corers, cherry pitters, bread makers, whisks, garlic presses, lemon squeezers and bamboo steamers. Of course, I needed lots of spices. . . I was quite proud of my persistence and dedication to my goal and having a great time learning. What a cool goal this was. 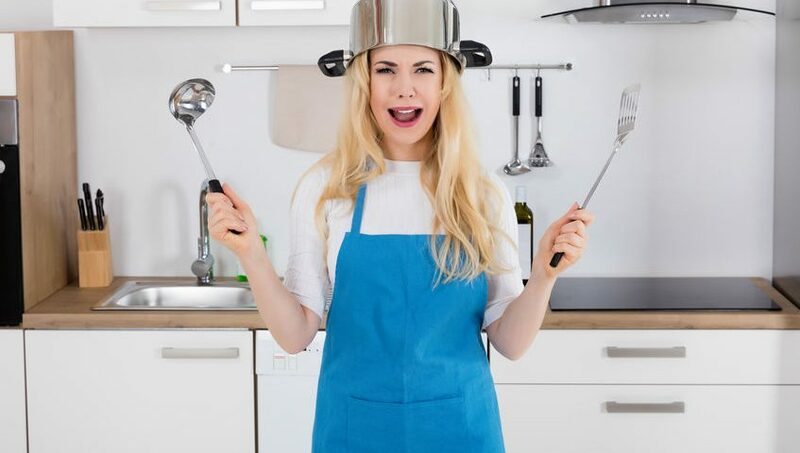 It all sounded so logical until a year or so later a close friend teased, “How many more cooking classes do you think you need before you’ll be ready to invite someone to dinner? You do know that people all over the world are getting together over meals that aren’t homemade?” Like most good teases, there was important feedback as well as caring in her words. Lots of justifications rushed to my mind, but the truth was, I was stuck in trying to cook perfectly. I was focusing on details and what I did well, learning and planning, to the point that I was missing the overall goal altogether. I never thought of myself as a perfectionist. But that’s exactly what I was doing—how did my self-worth become dependent on producing an exquisitely tender roasted chicken? I had turned wanting to share food with friends into a performance of how well I could cook. That wasn’t my goal at all. But it was more in my comfort zone. Ouch. If I wanted to share food with friends, then I needed to share food with friends, which did not mean embarking on a major educational journey. My friend was right, where did I ever get the idea that sharing food meant preparing 5-star meals? People everywhere were sharing potlucks and take-outs and having a great time. Yikes. Learning to cook wasn’t a necessary part of my goal at all. My goal meant inviting people over. The food was secondary. That realization was scary. But what if I invited people over and no one talked? What if I didn’t know what to say? What if people were bored? What if I was bored? What if I didn’t really enjoy a laid-back evening with no goals? What if my dinner with friends was an epic failure? My threat system was firing on all cylinders. It was clear that anticipating sharing time with friends wasn’t part of my reward system. In Dr. Lynch’s textbook on RO DBT, he describes how perfectionism can develop. If your family or other significant others in your life stress that making mistakes is intolerable or unacceptable that can communicate to a child that s/he is never good enough, because s/he is going to make mistakes. He goes on to note that maladaptive perfectionism can develop in that the child learns to prevent the possibility of making a mistake by not taking any risks; and can become highly sensitive to perceived criticism and consider her self-worth to be based on how well she is performing relative to others. He also notes how OC individuals learn to value achieving goals and that unproductive time is not acceptable (Lynch 2018). But the brain is flexible, and we can change the way we respond to unproductive time and increase our reward sensitivity to social situations. What was I to do? Just inviting people over and being anxious was not likely to be a pleasant experience. I needed a strategy. First, I took a look at my values. Was my goal driven by principles that were important to me? Yes. I valued friendships and sharing time together. Did I value trying to impress my friends? YUK! Completely not. So if I let my behavior be guided by my values I would focus on the people and not on being “good” at anything. Did I value being open and sharing my fallibilities as a part of developing close and more intimate relationships? Absolutely, I believe that letting people know me with all my quirks was critical to my own happiness and connections. Clarifying my values and being committed to living them was helpful. That was top-down regulation. I also needed bottom up skills to manage my predisposition to being anxious in unstructured situations. I created nonproductive times in my day and practiced Big Three + 1, an RO DBT skill for activating my social safety system and turning off my threat system. Next week people are coming to my house. I am practicing focusing on all the things I value about this experience and what I expect to be fun. I’m changing my brain and increasing the pleasure I experience in social situations. How amazing is that? 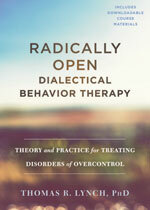 About the Author: Karyn Hall, Ph.D.
Karyn Hall, Ph.D. is the Director of the DBT Center in Houston, Texas. She is the author of four books and has been a speaker both nationally and internationally. She is intensively trained in RO DBT.